CHINA. 2013. Altai Mountains, Xinjiang. 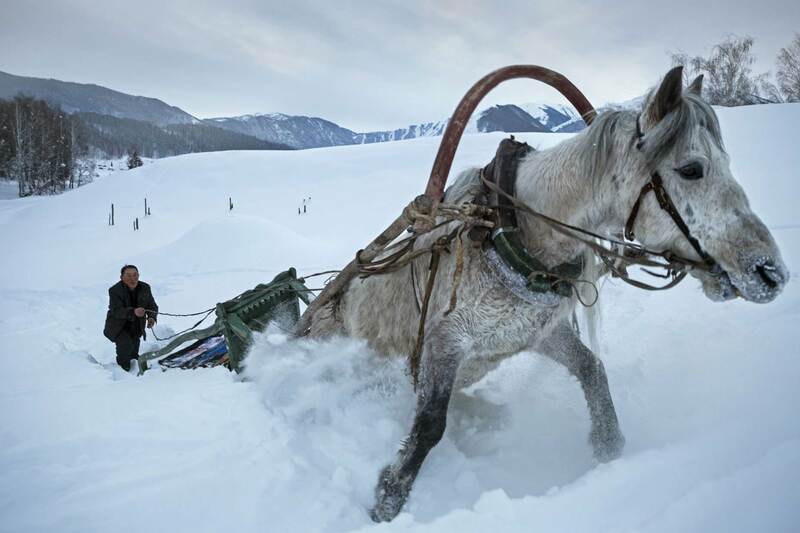 Outside the vilalge of Hkom, a horseman tries to free his animal that is stuck in the deep powder snow. When the snow is too loose and deep, horses cannot move beyond prepared paths - thus the traditional need for skis.